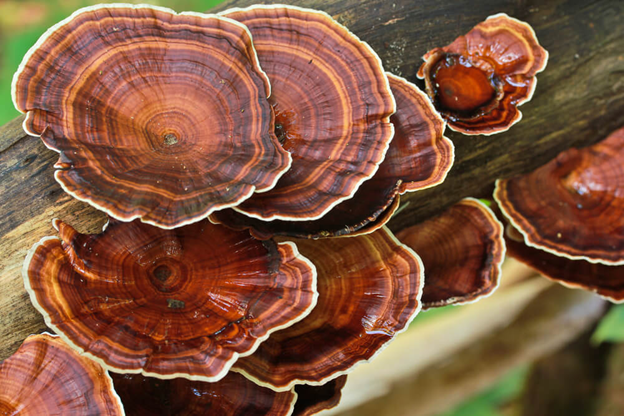 Reishi mushroom is one of those medicinal mushrooms that has countless benefits. For all the benefits that reishi mushroom offers, it is known as “mushroom of immortality”. Reishi mushroom originated in China, and was used by the Chinese royals. However, for how amazing of an organic medicine it is, it made it to the rest of the world. Often red, orange, or brown in color; reishi mushroom is bitter in taste. People say, the more bitter reishi mushroom is, the more effective it is. Since it is bitter in taste, unfortunately, it does not find a place in the culinary world. However, if you are looking for reishi mushrooms, you would find them packed in a container in the forms of capsules, powder, tea, or even liquid extracts. All you have to do is hit a food store or health store to find what you are looking for. With all of that being said, here are a few health benefits of reishi mushroom. One of the most touted benefits of reishi mushroom is its ability to decrease inflammation. As a result, it helps a lot in pacifying headache, pain from wounds, and acne. That way, there is an increase in blood flow and relief from pain as well. Reishi mushroom helps in enhancing various cognitive functions, like thinking process, learning, memory, attention, focus, decision making, and, as a whole, cognitive performance. It supports the growth of new nerves, which aids in improving nerve communication. This in turn helps in improving the above-mentioned cognitive functions. High blood pressure is apparently caused as a result of a hampered flow of blood due to many reasons. Reishi mushrooms have the ability to improve the blood flow. it also reduces how much oxygen the heart uses to pump blood. As a result, the body gets more oxygen, and the heart pumps blood efficiently too. Besides these, reishi mushroom can also bring down bad cholesterol. When you take reishi mushroom supplements on a regular basis over an extended period of time, they are capable of boosting immunity. As certain studies suggest, reishi mushrooms contain certain molecules that are capable of increasing the number of white blood cells in the body. As a result, our body is well-equipped to fight diseases. Along with a number of other factors, the skin starts aging faster when there are toxins and free radicals in the cells for a prolonged period. Here, the anti-oxidant property of reishi mushroom plays a role in slowing down the process of aging of the skin. This is why, you would find reishi mushroom in various skincare products as an ingredient as well. Our cells are prone to having free radicals and toxins. These toxins and free radicals have the ability to cause a lot of issue in the cell. In the brain, as a result of the toxins, oxidative stress is created. In simpler words, sometimes the reason behind all the stress you feel might be the free radical and unwanted toxins. Reishi mushrooms contain anti-oxidizing agents that help in wiping out those toxins and free radicals. For most of the benefits that have been addressed above, reishi mushroom can be greatly helpful for people who are fighting cancer. It has the ability to fight inflammation in cancerous cells, enhances immunity in people with cancer, and, as a result helps in pacifying the multiplication of the cells and tumor formation. However, organic reishi mushroom supplement is not the only and independent solution to fighting cancer. One has to go through chemotherapy essentially, and take the line of treatment as suggested by the doctor. Reishi mushroom helps in catalyzing the healing process and develops resilience in patients.